EasySend is a DTM (Digital Transaction Management) smart platform, that creates customer facing digital processes, enabling enterprises to bridge the gap into the digital communications era. From the basic level – transforming manual forms (PDF, DOC) to paper free, UX empowered, automated processes with a click of a button, up to the highest level of smart decision making processes. These digital customer journeys are accessible from any device in any medium. Many banks and insurance companies are using EasySend Digital Processes Builder, Drag & Drop platform, to define any digital process in a matter of hours. No programming knowledge is required. 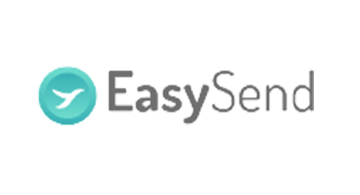 By using EasySend companies can increase NPS score, reduce the number of invalid forms, reduce the numbers of calls for a single request, reduce handle time for each process, increase deal closer, increase in bounding marketing and more. Typically use cases - KYC, digital mortgage, customer on-boarding, taking a loan, underwriting, claims processing and more.